In my last blogpost, I made a case—and the subject made it very easy—for George Martin as “The 5th Beatle,” if anyone deserves that title. Many other figures have, seriously and facetiously, been cited as “The 5th Beatle,” or “5th Beatles” of sort. As I wrote in my post about George Martin, I think that only two people are really serious contenders for that title, those being Martin and Brian Epstein. How do the others rank, if you’re going for a list that the Beatles themselves would probably never make, or scoff at? Here are my rankings, with some explanatory comments. Note that I’m ranking them according to what they added to the Beatles’ legacy, which in my view rests primarily with their music. Other pundits might rank them more according to how well they knew the Beatles, how closely they interacted with them, and how they affected their commercial success and business. That’s a valid approach, but I think the musical contributions of their associates are the most significant and lasting ones. Just as George Martin was the best imaginable producer for the Beatles, so was Epstein the best imaginable Beatles manager. That doesn’t mean his record as manager was as impeccable as Martin’s performance as producer. As often detailed after his death—the 1972 book Apple to the Core was the first source to do so to a significant degree—he made some poor and at times disastrous business decisions that cost the Beatles millions of dollars in the short run, and perhaps many millions more in the long run. But he made some good ones, too, if more cannily in terms of getting them publicity and exposure than in dollars and pounds. Had he not been in Liverpool in the early 1960s, it’s scary to think of the consequences. The Beatles might well have never gotten a record deal or become known outside of Hamburg or Liverpool. Had they used another manager, he or she might have exploited them, or lacked the dedication and competence to make them successful and put them in a position where they could maximize their innovations. Marianne Faithfull had a funny and appropriate line about this in the BBC documentary The Brian Epstein Story (still unavailable on DVD, though it should be): “He may not have been the greatest businessman in the world. He may well have made a lot of mistakes…not that I care. I couldn’t care less about things like licensing T-shirt deals. It just isn’t interesting. And I don’t think it’s so bad to not be good at that sort of thing.” Not to minimize the financial impact on the Beatles, but the point is, it’s not the merchandising of the Beatles and the money it made that interests us about them all these years later. It’s the music, and Epstein, more than anyone else, helped bring that music to the world. “I’m very much a Beatle fan,” he proudly confesses. “In fact, I’ve always realized this, that I’ve always been, right since I’ve known them. I’ve felt, probably, everything that any Beatles fan”—here he chuckles, perhaps realizing that he’s getting a little too revealing about his homosexuality, which was very much a secret to the public at the time—“male Beatles fan has ever felt. All the various things I’ve liked, I think, is what the fans have liked…the marvelous quality [of] the Beatles both in their music and in their general manner is that they in fact do original things, and new things, as they go along. 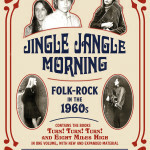 Their songs are always new and different, and so are their performances, in sort of different, small, subtle ways.” Although these observations are uniformly accepted today, back then few adults could see that the group’s unparalleled thirst for change and artistic evolution was a key to their astronomical popularity and influence. While Epstein has sometimes been criticized for failing to appreciate the full dimension of the Beatles’ aesthetic sensibilities, this comment seems proof enough that such accusations hold no merit. 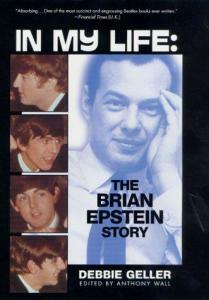 A book based on the BBC documentary The Brian Epstein Story. Just as George Martin did not produce other artists nearly as great as the Beatles, Brian Epstein did not manage other artists nearly as great as the Beatles, though some were very successful. It was probably a consequence of his early-‘60s Liverpool base as much as anyone else, but the biggest other hitmakers he chose to put in his stable—Merseybeat bands Gerry & the Pacemakers and Billy J. Kramer & the Dakotas, and pop belter Cilla Black—were much more lightweight and less artistically adventurous than his primary clients. (Uncoincidentally, all of them were also produced by George Martin.) There are indications that had he lived, he might have expanded his roster into more interesting areas, especially as the Beatles needed and wanted less of his attention. There were indications he wanted to get involved in the Velvet Underground’s career in some way (and the path would have been clearer after Lou Reed fired Andy Warhol around mid-1967), though the specifics remain fuzzy and Epstein died before he could take any action. Likewise he had some interest in getting involved in Eric Andersen’s career, and if Andersen wasn’t nearly as significant an artist as the Velvet Underground, he was hipper than Billy J. Kramer or Cilla Black. He also praised Jimi Hendrix in an April 1967 radio interview with Murray the K, before Hendrix was known in the US, and Hendrix gave a concert at a major venue Epstein leased, London’s Saville Theatre, right after Sgt. Pepper was released. The Four Tops had played the theater the previous year, and the Motown group credit Brian with helping them become known in Britain. Would the Beatles’ story have ended differently had Epstein not died in August 1967? It’s impossible to say, and I agree with historians who feel their breakup was inevitable. It’s also true that, with more now known about Epstein’s psychological problems and some strains between him and the Beatles, he might not have remained their manager anyway, or at least would have taken a far less active role in their affairs. I do think that the Beatles’ breakup would have been less rancorous, if for no other reason that they wouldn’t have wanted to hurt him more than necessary. Epstein certainly had much greater concern for them as individuals than Allen Klein (who by the end of the 1960s was managing all of them except Paul McCartney) did, and his ability to communicate with them might have eased the tension somewhat. All of that’s a big if. What’s not a big if is Epstein’s towering importance in the Beatles’ story, surpassed only by George Martin. 3. Pete Best. Pete Best was fired from the Beatles in August 1962 primarily because he wasn’t a good enough drummer, though there were other reasons. So why is he so high up on this list? It’s an arguable ranking, but unlike everyone else here save Stuart Sutcliffe, he actually was a Beatle, not just an honorary one. And not just for a couple weeks or so, like Jimmy Nicol—he sat in the drum chair for two full years. With the inclusion of about half of their January 1, 1962 Decca audition tape and a couple tracks from their first session with George Martin in June 1962 on Anthology 1, he’s actually now represented on official Beatles records. He was already represented on official Beatles records with the recordings they made in Germany with Tony Sheridan, even if those sessions didn’t reflect the full range of their embryonic talents. He played many shows with them in Merseyside and Hamburg; let them use his home as a base for many of their operations; and his mother, Mona Best, did a great deal for their career in the early 1960s in unofficial managerial capacities. 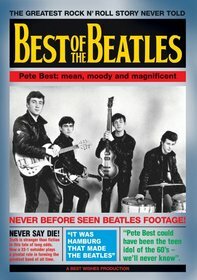 Best has his defenders, primarily fellow early Merseybeat musicians; see the documentary Best of the Beatles for some of those. But even based on the slim body of recordings on which he plays (also including a couple lo-fi 1962 BBC broadcasts), Ringo was decisively the better drummer. Even more decisively, the ebulliently humorous Ringo was a far better fit for the Beatles as a personality. The question that never seems addressed when a vociferous few claim that Pete Best was better, or at least that the Beatles were better when Best was their drummer, is why the Beatles’ popularity did not suffer when Ringo replaced him. To the contrary, it exploded, even if some loyal Best supporters in Liverpool never forgave the band. But Best was there, every step of the way, from August 1960 to August 1962, when the Beatles rose from a barely professional group to the best one in Liverpool, and the cusp of being the best in the whole world. His image might not have fit in with the band as well as Ringo’s, but his, to use the cliché, mean, moody magnificence was important to establishing their Liverpool popularity in the early 1960s. For those reasons, he deserves a high spot on this list. But if we’re talking musical contributions to the Beatles’ legacy, Preston made more to their recordings than any other rock musician outside of the Beatles themselves. And they weren’t insignificant or merely decorative—for that portion of January 1969 on which he recorded (and, at their January 30, 1969 rooftop concert, performed live) with the group, he was about as close to a fifth member as you could get. He didn’t write any of the material, but his keyboards are an important, indeed vital, part of the tracks that came out on the “Get Back”/ “Don’t Let Me Down” single and, eventually, on the Let It Be album. On “Get Back, “Don’t Let Me Down,” and “Let It Be” in particular, his work is both stellar and integral to the arrangements. John Lennon was so impressed that after just a couple days of working with Preston, he even (on January 24, 1969) told the other Beatles he’d like to make Billy a permanent member, though an incredulous Paul McCartney defused John’s likely over-impulsive enthusiasm. 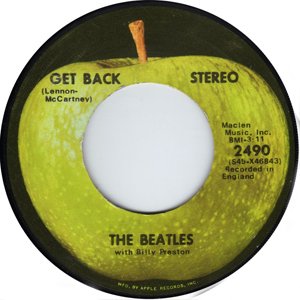 The Beatles did, however, generously use the billing “The Beatles with Billy Preston” for the “Get Back”/“Don’t Let Me Down” single. Also generously, they signed him to Apple Records as a solo artist, which is likely one reason he didn’t play on more sessions with them after January 1969. Although contributions to the Beatles’ solo careers don’t factor into these rankings, it’s also worth noting that Preston also played on numerous solo releases by Lennon, Ringo Starr,, and George Harrison, including the track (Ringo’s “I’m the Greatest”) that came closest to reuniting the Beatles in the studio, as Starr, Harrison, and Lennon also played on this John Lennon composition. 5. Geoff Emerick. Unlike the four names above him on this list, Geoff Emerick isn’t so well known to the general public. However, there’s now a greater knowledge of and appreciation of recording engineers than there was when many of them actually worked on their most famous recordings in the twentieth century. Emerick was the engineer on most of the Beatles’ recordings from Revolver onward, though he quit partway through The White Album, resuming work with the band for Abbey Road. Although it’s harder to pinpoint specific contributions for Emerick (and engineers in general) than it is for producers like George Martin, Emerick was there when the Beatles were doing their most sophisticated and experimental recordings. 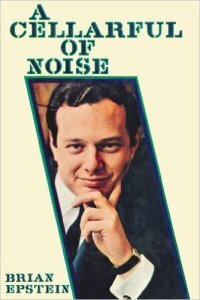 Although a few other experts have disputed some of what he wrote in his memoir Here, There and Everywhere (co-authored by Howard Massey), that very worthwhile book helped raise his profile. If much of his opportunity to start working with the Beatles when he was barely in his twenties was due to the luck of being in the right place at the right time, he had the open-minded appetite for trying new things that made him a good match for the band as they expanded the boundaries of what was possible in the studio. 6. 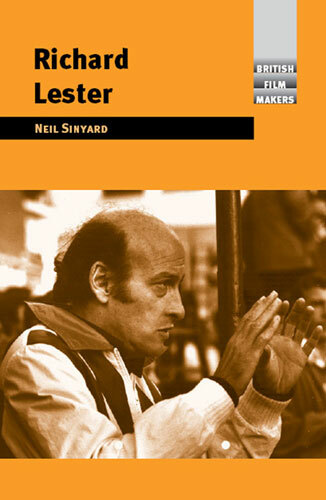 Richard Lester. Richard Lester directed the two films in which the Beatles starred as actors, 1964’s A Hard Day’s Night and 1965’s less impressive Help! These movies, perhaps as much as their mid-‘60s records and concerts, established the Beatles’ image with the public. As subsequent comments (especially by Lennon) revealed, this image wasn’t entirely accurate and was somewhat sanitized. 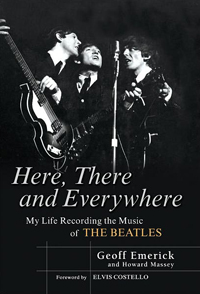 But Lester deserves enormous credit for capturing much of the essence of the Beatles’ appeal in their fun-loving humor, irrepressible energy, and relative naturalness in the oft-phony entertainment business. In A Hard Day’s Night in particular, he often did so with a fun-loving cinematic energy on par with that radiated by the Beatles themselves. Although Lester wasn’t a musician, it’s also worth noting that the musical sequences were easily the best that had been used in rock movies to that point. Quite possibly (again, especially in A Hard Day’s Night), they remain the best musical sequences in rock movies more than fifty years later. By complementing the songs with images, camerawork, and editing that were as vivacious as the soundtrack, Lester did his part to get the music over to the public, especially to those who’d be converted into Beatles fans (and sometimes into general rock fans) by the A Hard Day’s Night movie. Lester could have done more films with the Beatles. It’s likely the first few months of 1966 were set aside for making a third Beatles movie, as the group didn’t perform or record during that time. But they couldn’t find a script or story they liked (though some, like the western A Talent for Loving, came under consideration), and it’s likely that by 1967, they were losing interest in acting in a fictional film anyway. Lester did direct John Lennon (without the other Beatles) in late 1966 in the satire How I Won the War, which—though Lennon does okay with his part, which is small—is in my estimation a pretty awful, unfunny film that’s difficult to sit through in its entirety. 7. Norman Smith. Perhaps even less known to the public than Geoff Emerick, Norman Smith was Emerick’s counterpart in the earlier part of the Beatles’ career as the engineer they most often used before 1966. Since their recordings were more straightforward and less technologically intricate during that era (though they were quickly becoming more elaborate as 1965 progressed), Smith’s contributions seem to have been less creative than Emerick’s, and certainly than George Martin’s. He certainly did well with them, however, even if he properly bowed out after Rubber Soul, feeling less interested in the group’s music as it changed. According to Emerick’s Here, There and Everywhere, Smith overdubbed some drums on “Can’t Buy Me Love,” though this hasn’t been accepted as gospel throughout Beatledom. If Smith, as is sometimes intimated, didn’t enjoy their more progressive direction, it’s a little strange that he then went on to work with two bands who were the most recklessly experimental in Abbey Road other than the Beatles themselves. The first was Pink Floyd, whose first three albums Smith produced. Pink Floyd don’t have much to say about him, and the impression is given in Floyd literature that he’s something of an EMI functionary. But certainly those albums are impressive early psychedelic/progressive rock LPs, especially the 1967 debut Piper at the Gates of Dawn. Smith also produced the Pretty Things’ 1968 LP S.F. 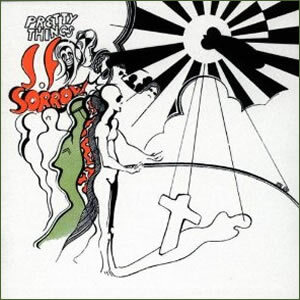 Sorrow, which though not a big seller has been recognized as one of the most sonically adventurous psychedelic albums. In contrast to Pink Floyd, the Pretty Things have been vocal in their appreciation of Smith’s contributions, to the extent of hailing him as an unofficial member—the sixth Pretty Thing. You’d have to think he picked up something of the Beatles and George Martin’s hunger for expanding the parameters of what could be done in the studio while working with them, and brought at least a little of that to his work with other psychedelic bands in Abbey Road. The Pretty Things’ S.F. Sorrow album, produced by Norman Smith. Smith would be far more famous in Beatles lore if, as he revealed years after the incident, one of his compositions had been used on 1965’s Help! LP. As he told it, when the group were struggling to find enough material to fill up the album, he played a song he’d written to them, which they gave serious consideration to recording. They decided not to, in his account, because they needed a song with Ringo on vocals, which ended up being “Act Naturally,” and although they said they’d do Smith’s composition later, they didn’t return to it. It’s mysterious, however, that Smith could not remember the title of the song or even describe it too well. The possibility cannot be discounted that John and Paul were humoring or stringing along their longtime studio colleague, but as Smith told the story (on more than one occasion), their enthusiasm for the tune was genuine. There were several other members of Abbey Road staff who made important contributions to Beatles recordings, particularly Chris Thomas (who was an unofficial producer of some White Album sessions and plays keyboards on some of the tracks); Ken Scott (an engineer on some of their late-‘60s sessions who later became a producer of note, particularly on early-‘70s albums by David Bowie); and Alan Parsons (who helped with engineering on Abbey Road). And Glyn Johns and Phil Spector were credited as co-producers (with George Martin) of Let It Be, while Ron Richards effectively produced “Love Me Do,” although George Martin was credited as producer. But Smith’s contributions outweighed all of these figures in quantity, even as one would be hard-pressed to identify any specific imprints he gave the Beatles recordings he engineered. 8. Stuart Sutcliffe. Along with Pete Best, Sutcliffe was the only guy other than John, Paul, George, and Ringo to be a full-time Beatle. His stint was short—a year and a half—and musically insignificant, according to most accounts. Some (such as Klaus Voormann, who saw the Beatles often in Hamburg) have contended that Sutcliffe was not as bad a bass guitarist as is usually reported, and that he was competent, or verging on competent. 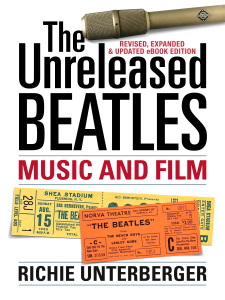 The substantial majority of Beatles literature, however, gives the impression that he never did master the instrument. And even if he might have gotten better had he kept with it, he left the group in mid-1961, an indication that he just didn’t have the interest in or hunger for playing and writing music that the other Beatles did. Sutcliffe’s chief contribution to the Beatles, as many have noted, was in the image department. In the early ‘60s, he was key to establishing their moody leather look; after taking up with Astrid Kirchherr, he was the first to adopt a Beatles haircut. Pictures taken of Sutcliffe shortly before his death in April 1962 indicate he would have actually fit in well with the Beatles visually, certainly in their early days. Had he not died, there’s speculation he might have done some work with him as a visual advisor of sorts, maybe designing record sleeves or logos, though that honor (for the Revolver cover) would fall to his friend Klaus Voormann. 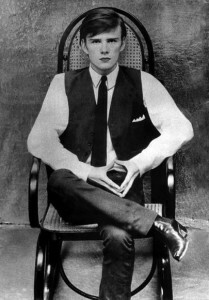 The picture in which Stuart Sutcliffe looks most like he could pass for a member of the 1962 Beatles. Unlike with Pete Best, very little survives in the way of Beatles recordings on which Sutcliffe plays. He wasn’t even on the Tony Sheridan sessions in 1961. He is, as far as we know, on numerous lo-fi 1960 rehearsal tapes (a few of which were officially released on Anthology 1), at which point he’d only been playing bass for a few months. On these, he plays with an artless thump that does more to distract from the proceedings than fill out the sound, though at any rate it’s often faint and hard to make out. 9. Yoko Ono. I have no doubt this will be the most contentious of these rankings, especially since Ono, fairly or unfairly, is often cited as the biggest reason the Beatles broke up. Although a good number of listeners and critics would come to her defense and champion her musical work after the Beatles split, that doesn’t mean that the majority of Beatles listeners regard her in a favorable light. Judging from the reactions of my students in my Beatles classes, she’s almost as unpopular now as she was then. And this isn’t solely a matter of sexist male Beatles fans being chauvinistic—at least half of the negative reaction, which is often quite vociferous, comes from women. But Yoko did have a substantial influence on John Lennon’s songwriting after they got together in spring 1968. And, hard as it might be for some of her critics to concede this, often it was positive. Or at the very least, some good-to-great Beatles songs emerged that would not have, at least in the same shape (especially lyrically), had Yoko not been in John’s life. 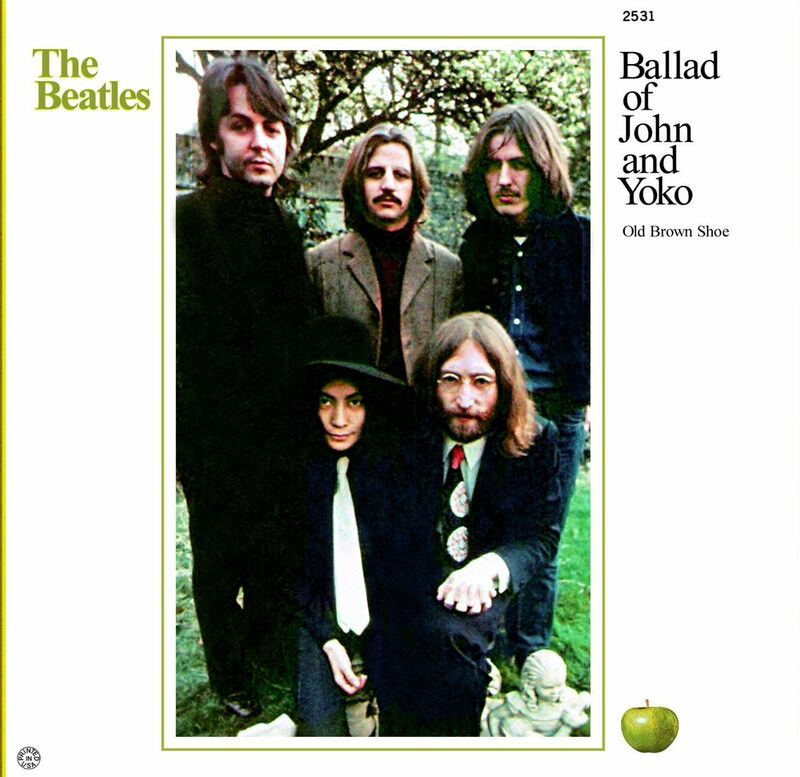 These include songs specifically inspired by their relationship (“Don’t Let Me Down,” “Ballad of John and Yoko,” “I Want You (She’s So Heavy)”); songs in which some of her poetry and art was likely an influence (“Julia,” with its reference to “ocean child”); and “Because,” partly inspired by Yoko’s rendering of Beethoven’s “Moonlight Sonata” on piano. Yoko almost seems like a fifth member of the group in the picture sleeve for “Ballad of John and Yoko”—photographed, interestingly, by Linda McCartney, who’d go on to become an actual member of Paul McCartney’s band, Wings. Yoko was also a substantial contributor to some White Album recordings, though the results were far more controversial than the songs in the previous paragraph. She was John’s primary collaborator on “Revolution 9,” probably the Beatles’ most unpopular track. She also contributed quite a bit to the somewhat more tuneful White Album outtake “What’s the New Mary Jane” (one version of which was officially issued on Anthology 3), which though far more obscure is not too popular among the Beatles fans who’ve heard it. She also sings the line “and when he looked so fierce” on “The Continuing Story of Bungalow Bill,” though no one minds that as far as I can tell. The Beatles songs on which Yoko was a prominent influence, “Ballad of John and Yoko” excepted, did not refer to her specifically, and even “Ballad of John and Yoko” was more of a journalistic travelogue than a relationship song. Lennon’s songs would get more particular and detailed in their depiction/celebration of Yoko on his solo albums. One imagines that if he’d tried to have the Beatles record some of these (such as “Oh Yoko,” an informal version of which he recorded in a Montreal hotel back in spring 1969), he would have met much more resistance than he did to the likes of “Don’t Let Me Down,” which could have been about anyone. Yoko did, incidentally, perform as part of the Beatles on January 10, 1969, shortly after George Harrison had walked out of the studio that day to quit the Beatles, returning about ten days later. That makes her more the Fourth Beatle than the Fifth Beatle on that occasion, though the noisy jams on which she scream-sings—backed by John, Paul, and Ringo—are not beloved by those who’ve heard them on bootlegs. Remarkably, an unreleased three-minute color film scene capture part of a loud, angry jam by John, Paul, and Ringo with a black-clad, black-hatted Yoko on caterwauling, wordless vocals, just hours after Harrison temporarily left the band on January 10. This must have been one of the strangest, tensest passages not just of the entire Get Back sessions but of the Beatles’ whole career. If Yoko seems distraught about the group’s crisis, she certainly doesn’t show it. Indeed, she’s smiling radiantly, fueling conspiracy theorists who view this segment as evidence of her not-so-subtle pleasure at being the center of attention for once within a Beatles performance and perhaps her delight at the prospect of a possible group breakup. Ringo’s seen flailing as wildly and energetically on his drums as he ever was during the January 1969 filming. Paul, perhaps more out of grim “if you can’t beat ’em, join ’em” resignation than anything else, contributes to the chaos by studiously, humorlessly massaging a speaker with his bass to coax some appropriate feedback out of the instrument. 10. 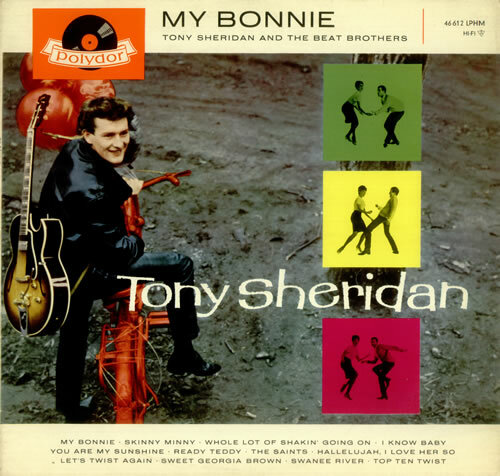 Tony Sheridan. Sheridan was never a Beatle, but he got pretty close in a way, as he’s the lead singer on most of their first truly professional recordings. On these tracks (mostly recorded in 1961 in Germany), however, the Beatles are just a backing group, with little of their personality emerging (or allowed to come through). “My Bonnie,” which was a small hit after the Beatles became famous on their own, is the best of these, in part because you can easily hear Paul McCartney’s enthusiastic backup vocals, and the band’s backup is fairly powerful. The others, though, are frankly dull, Sheridan coming across as just another early-‘60s sub-Elvis Presley. 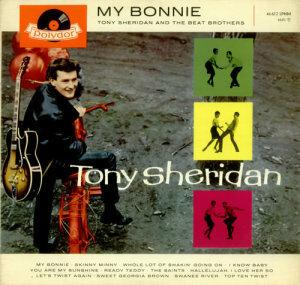 The Beatles backed Tony Sheridan on “My Bonnie,” though on this release they were billed as “The Beat Brothers.” The picture on this release was taken by their friend Astrid Kirchherr. Another photo from this session, in which original Beatles bassist (and Kirchherr’s fiancé) Stuart Sutcliffe can also be seen, is in the book Astrid Kirchherr: A Retrospective. Sheridan’s chief importance to the Beatles wasn’t on the few records on which they backed him, but as a mentor of sorts in their Hamburg days. Though he was just a few months older than John Lennon, he was far more musically experienced than anyone in the Beatles, and gave them plenty of instrumental and stage tips. They performed together fairly often live, it seems, when they were playing the same Hamburg clubs. Sheridan would later say he was disappointed in the pop direction the Beatles’ material took when they started making hits, preferring their rougher and bluesier early Hamburg sound. Judging from his own pedestrian records, however, he had little in the way of songwriting talent or originality—qualities the Beatles had in abundance. As much as they might have looked up to him in 1960, they quickly surpassed him on all fronts. There were, of course, many other people who played a significant role in the Beatles story, even if I don’t think they impacted their music as much as the figures on this list. Numbers 11-25, with briefer comments, are detailed in my next post. You have a typo in your other 5th Beatle piece. Otherwise, thanks for a very insightful discussion. just wanted to say thanks for including Norman Smith in this list. You’ve written more about him than I think I’ve ever seen written anywhere. I’ve always felt like he got the short end of the stick as far as credit went on Beatles records.